This week’s All-Star race is supposed to be fun. 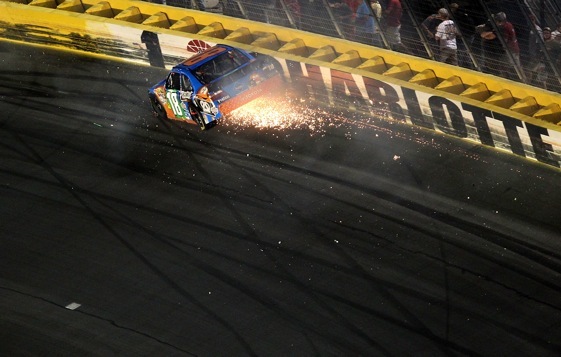 Before NASCAR’s “Have at it, boys’’ edict last year, the non-points race at Charlotte’s big track was the one event where stock car’s biggest stars could let their hair down and do some serious fender rubbing without any serious consequences. Now, though, with what appears to be a pretty general breakdown in common sense, we’re getting some of that extra-curricular bumping, banging and brawling just about every week. The latest incident, of course, is the melee involving Kevin Harvick and Kyle Busch, a couple of NASCAR’s hardest heads. These are a couple of the drivers who tend to let what Formula One drivers call “the red mist’’ overtake them on a fairly regular basis. Darrell Waltrip, who was known to have his own bouts of red mist, insists that the way things are done now is different from the old days when drivers exacted revenge on the track with a fender or under the bleachers with fists. It doesn’t really appear that different, though. In the early ‘80s, Waltrip and longtime NASCAR star Cale Yarborough were locked in a heated battle late in a rain-delayed race at Michigan International Speedway. The two highly aggressive drivers traded paint several times and used blocking moves that infuriated each of them even more. Yarborough won the race, but Waltrip wasn’t done. He decided to ram Yarborough’s car and knock him off the track so he wouldn’t be able to do a victory lap. 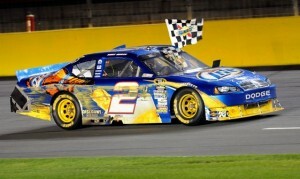 But Cale looked in the mirror and saw the No. 17 coming, hit the brakes and Waltrip wound up stuck in the muddy infield. The fans loved it, of course. But the consequences of such run-ins these days can be ugly, as we saw with Harvick and Busch. Harvick took a swing at Busch, still in his car. Busch rammed Harvick’s stopped car, which nearly ran into a nearby crewman. Then their respective crews nearly got into a brawl. “It’s a matter of respect,’’ said Waltrip, now a well-regarded television analyst for FOX. “It seems like these guys nowadays don’t have any respect for each other on the racetrack. The idea was that the drivers would police themselves and NASCAR wouldn’t have to continue escalating fines, probations and suspensions. But, instead, it seems like open warfare has become the norm. In racing, there has always been a fine line between revenge and aggravated assault. Most of the time, drivers take their revenge in situations where nobody is going to get hurt. But, these days, it seems that many of them don’t think about collateral damage. NASCAR fined both Harvick and Busch $25,000 and put them on a four-race probation, which includes the All-Star race. But, with no points on the line this weekend, it’s likely both of these headstrong combatants are thinking it would be a great time to get even. The Charlotte track is even using their simmering feud as an advertising ploy for Saturday night’s race. Of course, there’s a lot of money to be won in this race, and most drivers would rather not wreck a good car, if they can help it. Still, this is a race that doesn’t count in the standings, pays big for a win and allows for even more wild action than usual. Perhaps cooler heads will prevail. But don’t bet on it.